I knew Mike Root. 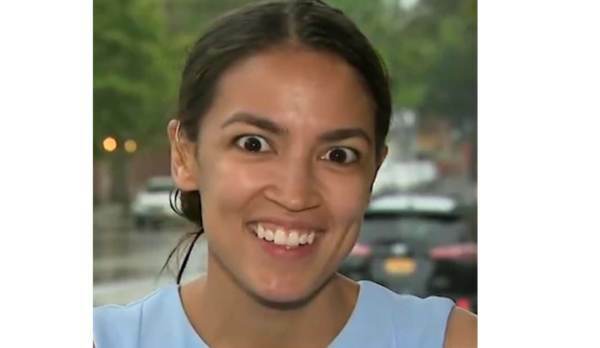 Congresswoman Alexandria Ocasio-Cortez is no Mike Root. My uncle Mike Root died a few days ago. He was not only a great family man, but the personification of American exceptionalism. Mike proved the American Dream is real. Alexandria Ocasio-Cortez (aka AOC) is the socialist darling of the moment. You couldn’t find more polar opposites. Mike was one of seven children born to my grandparents Anna and Louis Root in Brownsville, Brooklyn in the early 1900’s. These seven Jewish kids in Brooklyn were born into abject poverty. Then it got worse. Their father Louis Root died of a heart attack. My grandmother was left penniless with seven young mouths to feed. There was no welfare, no food stamps, no Medicaid, no Social Security. Yet unlike AOC and her Socialist friends who want to turn America into Cuba or Venezuela, those seven penniless kids never complained, never protested, never made excuses, never blamed “racism.” All seven young kids got a job to pay the bills. Those seven kids took care of their mother’s bills for the rest of her life. All seven of those kids went onto achieve pretty darn good lives. Because of American exceptionalism and capitalism, in this country being born into poverty doesn’t mean you are destined to stay in poverty. But Uncle Mike was the shining star. He started an electronics company, built it for many years into a powerhouse, and sold it for a fortune. A kid born into abject poverty on Pitkin Ave in Brooklyn, became a millionaire in America. Only in America. It wasn’t easy. As the saying goes, “It takes 20 years to achieve overnight success.” It took years of hard work. He raised three children, two of them “special needs.” His lost his beloved wife Sonny to cancer. He found love again with my Aunt Louise. He spent thirty years loving Louise and her children. Mike used his wealth to made sure his two special needs children (my cousins) were taken care of for life. I called Uncle Mike a few days ago. He was on his death bed, dying of kidney failure at the age of 87. Aunt Louise said he was very weak and could only talk for a few seconds. But when he heard it was his nephew Wayne, Mike had a surge of energy. We spoke for 20 minutes. He told me he loved me. Then he fell asleep. Louise took the phone. Those were the last words Uncle Mike ever said to me. He died the next day. My message to Congresswoman Ocasio-Cortez: Mike Root is America, you are not. This isn’t a socialist country. Most Americans want to achieve success, achieve financial freedom, and use the money to take care of their family. That is the point of life. That ambition is what makes America the greatest and richest country in the world. That attitude lifts people out of poverty. Only capitalism can do that. Socialism cannot. Government cannot. Mike made it. The poor kid from Brooklyn got rich. Because of freedom, capitalism, opportunity and mobility. Only in America. Mike Root is the American Dream. Mike Root is what makes America exceptional. Mike Root proves AOC must be defeated and her ideas sent to the garbage heap of history.